Mark Cortright replied to Connie Mettler's discussion Any ideas on how to change demographics at the art fair? "May want to consider local artists over traveling artists in jury point system. Just repalcing is not a good thing unless the work is better-new faces is a piss poor reason on its own. Mix it up is best. You want folks who sell well and the public…"
"Please visit our website, ArtFairCalendar.com, Jan, and look at the listings there. Of course there is that good one on Fort Myers in early February for starters." "I have been following Art Fair Insiders for quite a few yrs. never joined to now, just so busy all the time - now making more time for the art....Thanks! for all the grate info that you provide for all...It will be great to have a place to go…"
"You did a fine job, with pertinent details, Jeffrey, and we thank you. What made you choose to do this show? Do you live near? I know there is a lot of $$$ in that area and younger people getting started and some very pricey homes, which gives…"
"You’ll find it in the second podcast I did with Dave." "Hello, I just re-listened to this podcast and it says that there will be a video in the show notes. I cannot seem to find this video to follow along. Can anyone point me in the right direction? Thanks"
Royal Oak, MI, and the following weekend the State Street Show in Ann Arbor. Baptism by fire! When you go home with fat pockets. Ann Arbor Summer Art Fair 2001 - best sales ever at an art show, lots of money flowing in the streets of Ann Arbor. We went home and paid all our bills! As beginners, grasping at anything, got talked into an "art show" at Boysville, a fundraiser at a rural boy's reformatory. The first day we pocketed $5 in sales. Instead of spending the night we cancelled our hotel reservation and went home. I started ArtFairInsiders.com to build an online community around the nation's art fair business so artists and others could connect with one another for mutual support and fellowship. Interested in learning more "about us"? Click on the blue player below to listen to our live online broadcast about ArtFairCalendar.com and ArtFairInsiders.com. birthday wishes here in the Forum. Come say hello! How do you like this poster? Can you show us a better one? Upload below. Who Won the Prizes at Coconut Grove and Winter Park? Being accepted at Florida's two biggest shows can be the highlight of an artist's winter brining in income for the current time AND if you win a prize that can mean $$$ and a highly desirable invitation to next winter's festival. Who were the winners? Isn't this cool? Time for the art fair artists community to REALLY enter cyberspace. Social networks aren't just for those kids anymore! Hi Connie -- It's the number one entry if you google my name (C. L. Cunningham) and links dirrectly to the website. No biggie, but please make sure it is available on this site and linked as you think best so it won't be confusing to others. Thanks and good luck with this exciting new venture! when things change significantly. But I miss the contact with other artists doing shows and this will be a good replacement for the short term. Yes, we are all aware of each other and most of us started during the 90's as I did. There's probably 30 of us still rotating through the circuit, reeling from the double whammy of a slow economy and music industry CD sale declines--however there are still some of us who just love doing what we do and are dedicated to toughing it out. The most well-known singers on this circuit include Pacific Coast's Jean Sidwell and Pat Surface--and I see both of them each winter in Florida. I personally sing and keyboards are my first instrument, but I also contribute guitar to my albums. Thank you for respecting music as a part of the Art Show Community!! It is an honor to start this group and to gather information about the state of music retail at the shows--- we can help each other find and choose good venues, and how to support the artist community at large. I used to do 47 shows per year (no kidding) but I cut back this year and "only" am doing my best 30. I did Grand Haven/Muskegon/Orchard Lake as my Michigan tour and really enjoyed all of them. I have spent the extra time at home working for the mainstream Country Music Publishing industry here in Nashville and working on new music. Things are looking better here in Tennessee as we have at least one city with gas prices at $1.95/gal! I run Arts, Beats & Eats in Pontiac and Russell has been there just about every year. The Sidwell's were there for the first time this year and I didn't get a chance to visit, but stopped by their booth several times to listen. Very nice. I believe the musicians add an ambiance to the festivals that is refreshing, sort of a like a medieval street fair, especially at evening events when the music swells up out of the night. Any chance you have these other's email addresses? It would be great to add them to this community. Since you live in Nashville, any chance you know my good friend, Jack Stoddart? Thanks for the heads up on my video I was in youtube pulling videos a few nights ago.I may have accidently put that one private I'll try and fix it tomorrow. I'll let you know when I do. 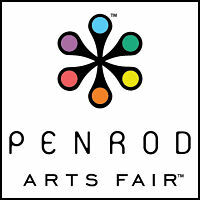 Looking foward to meeting everyone, and learning what I can about art fairs! Funny how quickly things get around... I had a handful of artists at the Washington Craft Show also mention it to me on Friday. For the most part, it seems to have been widely appreciated. Hi Connie--I am an EarthAngelsToys.com artist but of course have a lot of other friends in the folk art (or whatever you want to call it) world--and also a lot in the altered art world. I'll be sure to blog about this site and I'll bet we can get others interested... thanks! I'd really appreciate it, Laurie. What is your blog url?